Two Japanese samurais, I mean officials, Finance Minister Naoto Kan and Bank of Japan Governor Masaaki Shirakawa were seen taunting each other yesterday, throwing verbal jabs and ninja stars! You see, the tension between the government and the BOJ is certainly rising nowadays. And why wouldn’t it? At the center of this rift? Deflation! Japan has been under a deep deflationary environment since the global economy bottomed back in April 2009. I say ‘deep’ because looking at the historical inflation numbers of the Tokyo core CPI, the pace by which prices were falling have been the fastest in at least 5 years. How fast? Well, prices in Japan’s most populated city, Tokyo, is seen to have slid by 1.9% on February from a year earlier. Japan’s national core CPI has also been telling the same story. 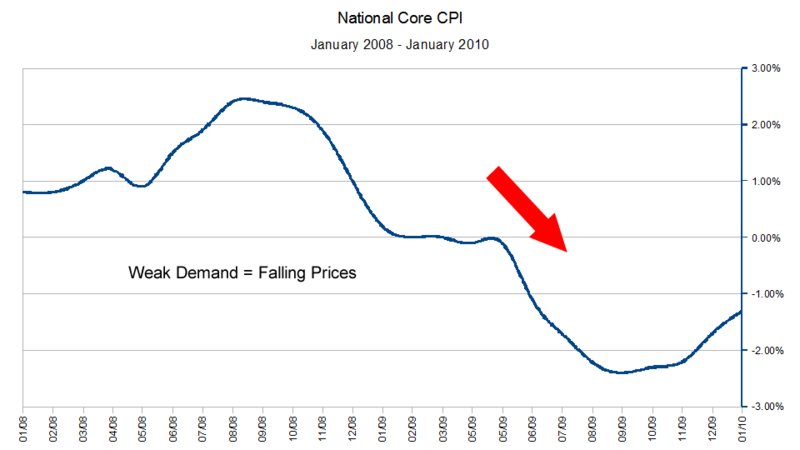 The national core CPI covering the same period is predicted to have fallen by 1.3%! Japan is well-known for being the “Land of the Rising Sun.” Well now, I won’t be surprised if some people start naming it the “Land of the Falling Prices.” Where’s the coolness in that?! So what are we seeing here? On the one hand, the government is saying that the Bank of Japan should “make more efforts” to fight deflation, as it is making it more difficult for the government to undertake the country’s debt problems. On the other hand, the BOJ said that they have already provided all the economic support they could. The bank then added a below the black belt comment, implying that the government should mind its own debt problems instead. Unless the BOJ and the Japanese government see eye-to-eye in terms of tackling Japan’s economic burdens, the yen could be in danger. After all, their economy could fall deeper and deeper in deflation until they put their squabbles aside and agree on an immediate fix for their problems. In the midst of all these challenges faced by the Japanese economy, not all hope is lost for the Japanese yen. Just yesterday, the yen received a boost when S&P credit rating agency announced that a sovereign debt downgrade for Japan is unlikely. Apart from that, risk aversion could just be waiting in the wings, ready to jump out and push safe-haven currencies higher whenever concerns on global economic stability arise.